The research, published in the Pacific Conservation Biology Journal, suggests the 43-year-old Giaus Villosus trapdoor matriarch, who recently died during a long-term population study, had outlived the previous world record holder, a 28-year old tarantula found in Mexico. 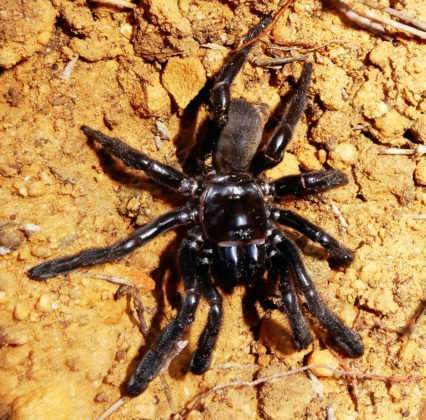 Lead author PhD student Leanda Mason from the School of Molecular and Life Sciences at Curtin University said the ongoing research has led to new discoveries about the longevity of the trapdoor spider. “To our knowledge this is the oldest spider ever recorded, and her significant life has allowed us to further investigate the trapdoor spider’s behaviour and population dynamics,” Ms Mason said. “The research project was first initiated by Barbara York Main in 1974, who monitored the long-term spider population for over 42 years in the Central Wheatbelt region of Western Australia.